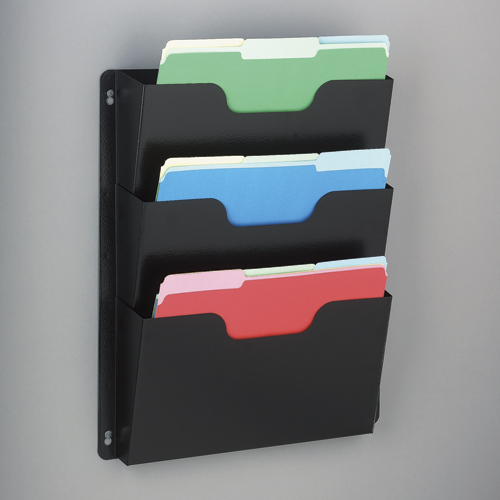 Keep important projects neat and orderly with the single unit triple wall pocket. 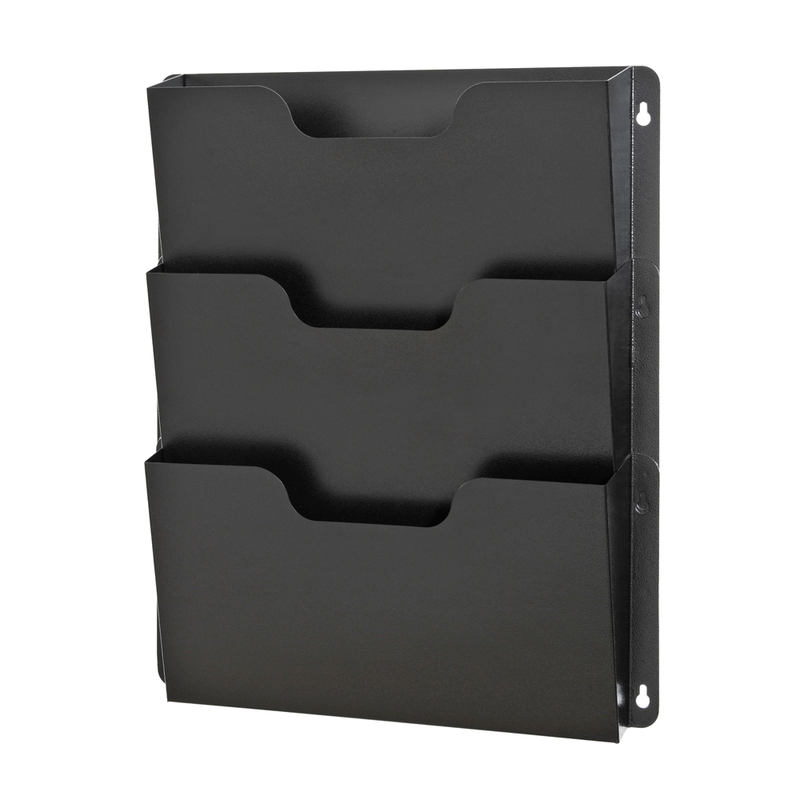 Mount on the wall, door or hang over a cubicle. Durable steel construction. Inside pocket measures: 12-3/4"W x 1"D at bottom, 2-1/2"D at top x 9-3/8"H. Hardware included.